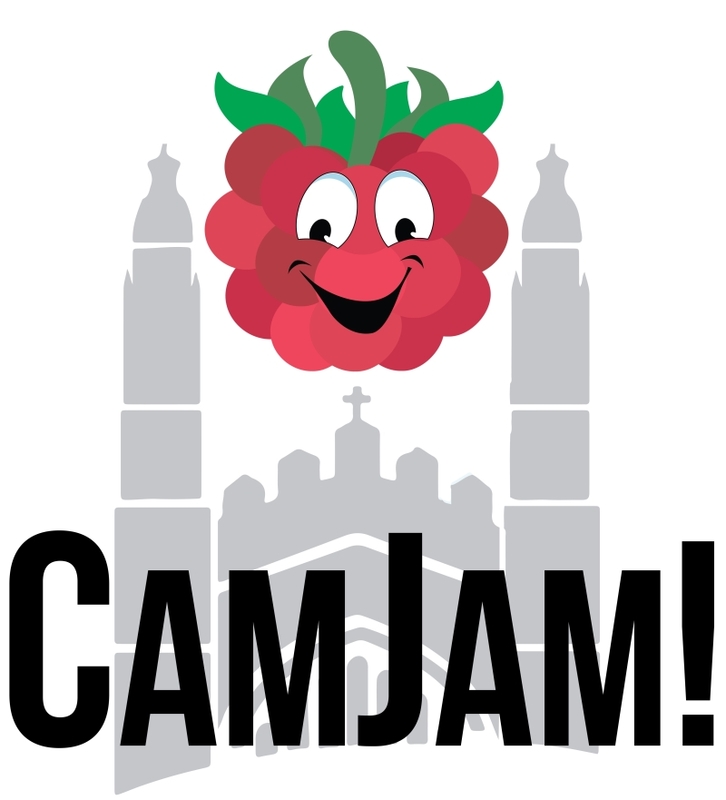 Welcome to the Cambridge Raspberry Jam – CamJam! The Cambridge Raspberry Jam is a computing event and meet-up for those interested in the Raspberry Pi and other technologies which encourage making and education. More information is available here. We also run a Potton Raspberry Jam in Bedfordshire known as Potton Pi & Pints and we also hold Pi Wars, a Raspberry Pi-based robotics challenge event. We're currently trying to decide on the future shape of CamJam and the Potton Jam. Events that we have run most recently have suffered from poor turn-out, so we're thinking about the best way forward. If you have any suggestions, feel free to contact us through the website. Starter - a basic kit to help you light up LEDs, detect button presses and sound a buzzer working towards a Traffic Light project. Sensors - our second kit featuring sensors to detect movement, light and temperature. Robotics - build your very own remote control and autonomous robot. All the kits are accompanied by downloadable worksheets which not only tell you what to do but why you should and how it works! More information about the kits, and where to get them, is available here. Does your son or daughter have special educational needs? We would like to help. Please read our Access for All policy and let us know when booking. 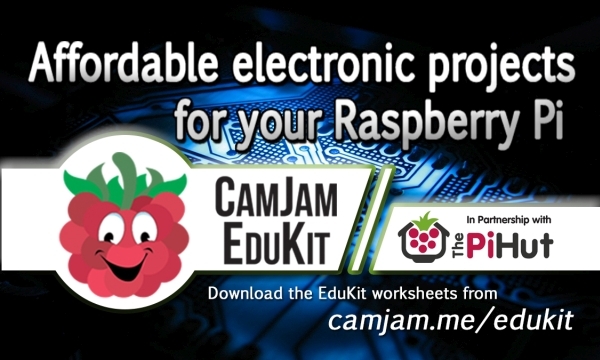 Keep up to date with news about CamJam, forthcoming events and ticket availability by signing up to our mailing list. Many of the talks have been recorded. You can view a growing selection of them by visiting our YouTube channel.